I see you and Max acting so bravely, but nobody asks for a child with Down syndrome. Dawkins’ tweet went viral (I think largely because of his use of the word “immoral”), which he later defended as the humane position to take in order to avoid suffering. His position reveals how much remains to be done to educate everyone who does not know someone with Down syndrome, which was underscored when the outrage at his tweet seemed more focused on Dawkins’ atheism than his stand on aborting all fetuses with Down syndrome. I don’t find Dawkins’ atheism to be any more controversial than the multitude of religions practiced by humans worldwide. What bothered me is that this somewhat firebrand scientist, who is not afraid to challenge dominant thinking, simply accepted an unsubstantiated position widely held by most people, i.e. Down syndrome equals suffering, and uncritically endorsed exactly what happens in the majority of cases where a woman discovers the fetus she is carrying has Down syndrome—the termination of her pregnancy. This disconnect is not a function of religion, compassion, or a lack thereof, but is rather the result of a stunning lack of facts. Before the 1980s most people, including me, did not grow up knowing anyone with Down syndrome. That is because, until the 1980s, the overwhelming majority of people with Down syndrome were institutionalized, often beginning at birth. Institutionalization was a self-fulfilling prophecy in terms of low expectations for children with Down syndrome. Beginning in 1964, a longitudinal study was conducted comparing a group of infants with Down syndrome who were institutionalized to a group who were raised at home. The study continued until the children were eight years old and found the children who were raised at home functioned at higher levels of “mental, motor, and social development on nearly all outcome measures at 2, 5, 6, and 8 years of age.” These studies were some of the the the earliest steps in re-thinking what it means to have Down syndrome and to reconsider the wholesale institutionalization of this population. I was born in 1965 and never saw a single child with Down syndrome enrolled in any of the ten schools I attended, in four different states, from kindergarten through high school. Nor did I grow up seeing adults with Down syndrome working, as they commonly do today, in grocery stores, restaurants, offices or any other businesses that serve the public. The first people I met with Down syndrome were adults in group homes where my parents worked. Overwhelmingly, these residents with Down syndrome had lived most of their lives in institutions, only moving into group homes when, in the 1980s, the institutions were dismantled by the U.S. government. As I explain in my essay, “Changing Expectations,” what I as a young woman mistook as the reality of life with Down syndrome was based upon meeting people who had spent their entire lives institutionalized. The consequences of life-long institutionalization, where social and emotional deprivation is the norm, is catastrophic for any human being, as shown in studies (and these) of typical children raised in Romanian orphanages in the 1980s and ’90s. It was not until the 1970s that the two major U.S. organizations that advocate for people with Down syndrome, the National Down Syndrome Congress (1973) and the National Down Syndrome Society (1979), were created. Both organizations make clear that caregivers—parents, teachers, friends and extended family—should set the bar high for kids with Down syndrome. For children with Down syndrome most often meet, and regularly exceed, the goals set before them. At the same time that children with Down syndrome were beginning to be raised at home and national organizations were advocating on their behalf, the therapeutic professions, including physical, occupational and speech, began working with infants and young children with Down syndrome. Four decades later, these professionals and others have continued to discover more and better ways to enhance the physical and linguistic skills of children with Down syndrome. In other words, when our now two-year-old daughter Lyra is 18, it is likely that she will be capable of more than what most 18-year-olds with Down syndrome are capable of today. That is because today we know much more about therapies and interventions for young children with Down syndrome than we did 18 years ago and this trend will only continue. We live in exciting times for people with Down syndrome. There is every reason to expect a baby born today with Down syndrome to live a full and productive life, including mainstream schooling, college or other post-secondary training, independent living, careers, marriage and even (what surprised me the most) driving automobiles. And this is where the disconnect of information exists. People who are not in the Down syndrome community, as well as many medical professionals who should know better, overwhelmingly still believe, perpetuate, and make decisions based upon grossly false assumptions about Down syndrome. Historically, the abilities of people with Down syndrome were wrongly underestimated. The end of institutionalization combined with appropriate medical and therapeutic interventions have radically increased the abilities, skills and life expectancy of people with Down syndrome. In era when so much is possible that people with Down syndrome truly are more alike than different from the typical population, the Down syndrome population is being targeted, usually under the misguided assumption of minimizing suffering, for significant (and in the case of Denmark, complete) elimination. The divorce rate in families that have a child with Down syndrome was found to be lower than in families that have a child with other congenital abnormalities and lower than those that have a non-disabled child. 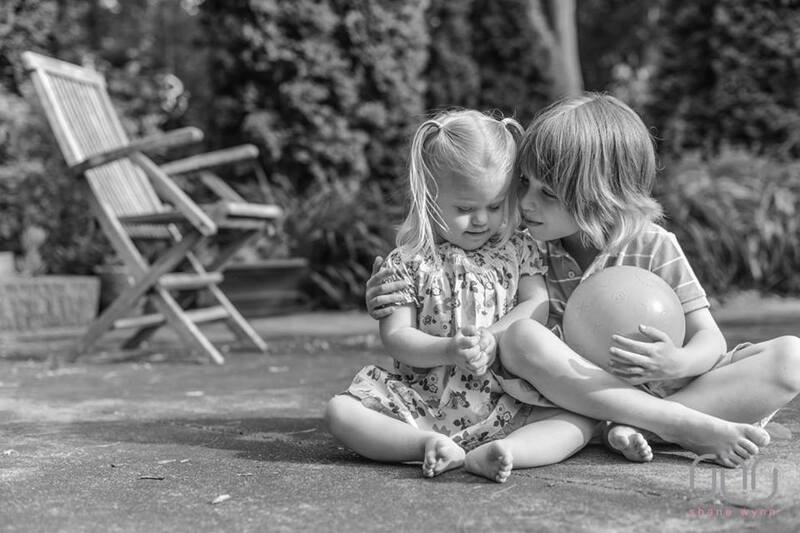 In a sibling study, 88 percent of the respondents reported feeling that they themselves were better people for having younger siblings with Down syndrome. 99 percent of people surveyed with Down syndrome (284 respondents), including people who are categorized as “medically fragile,” stated that they were personally happy with their own lives. Researchers have found that people with Down syndrome have significantly higher “adaptive” skills than their low IQ scores might suggest. These and similar statistics are why the phrase “the Down syndrome advantage” has been coined. For it seems, when reviewing the now substantial body of scientific research on life for people with Down syndrome and their families, that rather than suffering, most of these people are experiencing a higher quality of life than all those poor folks who do not have Down syndrome or a family member with Down syndrome. Why, then, does the perception of suffering persist? There has been plenty of research on the existence of latent racism, as Nicholas Kristoff reported in August of 2014, even people who “deplore racism…harbor unconscious attitudes that result in discriminatory policies and behaviors.” Similarly, the term “suffering,” when used in a discussion about developmental disabilities, seems to be code, perhaps subconsciously so, for latent discrimination against people with lower intelligence. For example, bipolar disorder is a genetic condition and while schizophrenia may not be genetic, it is certainly a biological event and these two mental illnesses often afflict people of incredible intelligence and creativity, who can and regularly do suffer greatly, as do their families. And while those who have mental illness share with the developmentally disabled a long overdue need for greater support, compassion and medical research, I don’t detect a movement afoot to prenatally eliminate intelligent people with mental illnesses simply because they and their families will surely suffer. An even better comparison might be cystic fibrosis, a genetic disease that until the 1950s killed most children with the condition by the age of five. In a time span mirroring the same decades in which medical progress has occurred in the treatment of children with Down syndrome, today babies born with cystic fibrosis can be expected to live well into their thirties or forties, or approximately half as many years as the average population. In their shorter lives, a person with cystic fibrosis can expect frequent medical appointments and, not uncommonly, emergency hospitals stays. That is to say that the majority of people with cystic fibrosis are more medically fragile than most people with Down syndrome. However, people with cystic fibrosis do not have delays or disabilities in cognition related to their condition. Do people with cystic fibrosis suffer? I leave it to them to say, but their lives are no less, and often are far more, medically compromised than the lives of people with Down syndrome. Are people with cystic fibrosis less valued members of society because of their shorter life spans? It seems not and, again, there is no push to eliminate prenatally people with cystic fibrosis no matter how much they and their families might suffer. The standard all too often applied when considering a prenatal diagnosis of Down syndrome is the avoidance of presumed (and statistically unproven) suffering outweighing the value of a diverse population. This same standard is never applied when discussing the lives of people with average or above average IQs who have congenital or genetic conditions other than Down syndrome, even when those conditions lead to unquestionable and significant suffering. Granted, today there are no prenatal tests available for many of these conditions, but that may likely change. And when it does, there should never be any movements to eliminate entire populations of people with mental illness or cystic fibrosis like there currently is to eliminate people with Down syndrome. Rather, as a society we should devote funding for research to find effective means of ameliorating the negative effects of of these and other conditions. Yet repeatedly I have heard from researchers who work on finding ways to improve the lives of people living with Down syndrome that funding for research on Down syndrome has been reduced in the past few years, being diverted instead to prenatal testing research. To know someone who looks or lives differently than you is to discover their inherent humanity, evaporating any “otherness.” People with Down syndrome are indeed more alike than different, but they are also inspiring. Inspiring because of their accomplishments in a society that remains largely ignorant of what it means to have Down syndrome. Inspiring because, yes, a person with Down syndrome often has to work harder than his or her siblings and classmates to achieve the same things. But time and again, they go on to succeed, and even surpass, expectations. Those of us in the Down syndrome community know the value of people with Down syndrome and many families have publicly invited Dawkins to meet their sons and daughters. Toward that end, I speak with other families each year to first-year medical students at Case Western Reserve University. We share our experiences of having a child with Down syndrome, while older children with Down syndrome speak directly with the students. I am always impressed by the level of engagement of these students, who seem to get it, that people with Down syndrome are fully human, long before listening to us. Last year, when I mentioned adoption agencies that specialize in the placement of children with Down syndrome, one of the professors interrupted me. Which is to say a significant number of people do, indeed, ask for a child with Down syndrome. This entry was posted in Lyra's Latests and tagged "alleviating suffering" is code for discrimination, Brian Skotko research on happiness in people with Down syndrome, Down syndrome today versus before, most fetuses diagnosed with Down syndrome are aborted, National Down Syndrome Congress, National Down Syndrome Society, Richard Dawkins and Down syndrome, subtle discrimination of the developmentally disabled, therapies for children with Down syndrome. Bookmark the permalink. Your writing is intelligent and forthright. I especially love the statistics on Down syndrome and families. Looking forward to reading more. Dear Holly, Your article puts me in mind of a case study I did as a junior nursing student in 1958. The mother and father were not told of the doctor’s suspicions that their new baby daughter had Downs until they were about to be discharged from the hospital. By this time they had spent time bonding with her and were excited to be taking their baby home. They were advised to leave her at the hospital and have her institutionalized from there. They did this and they never returned. I remember this precious little girl who remained in the nursery for about 6 months and was cared for by the nurses. I used to go to play with her and help feed her and the staff said that no one ever came from the family. Keep up the good work you are doing. I’m really proud of you and hope someday I can see you again and meet Lyra.